PBGS: New photos to tempt you Into the Woods with us! The Fairytale inspired Musical, Into the woods, was written in 1986 by Stephen Sondheim (Sweeney Todd, Follies, A Little Night Music) and James Lapine (Falsettos, Passion) and premiered on Broadway in 1987 after a run at the Old Globe Theatre in San Diego.The hugely popular and challenging muscial has been successfully revived many times since and remains a favourite with audiences. December 2014 will see the release of the first ever film version, but first-and-foremost it remains a magical theatrical experience. Everyone is familiar with the sometimes enchanting, sometimes dark and disturbing tales written by the Brothers Grimm. Into the Woods sees the weaving together of several familiar characters: Little Red Riding Hood and the Wolf, Jack and the Giant Beanstalk, Cinderella and her awful family, and Rapunzel. It also introduces two new characters – the Baker and his Wife who’s only wish in life is to have a child. Living under the curse of a neighbouring Witch they go into the woods to fulfil her demands for various magical items and thus lift the curse and get their wish. As they seek a Slipper as Pure as Gold, a Cow as White as Milk, a Cape as Red as Blood and Hair as Yellow as Corn, they find that the dark and mysterious woods have drawn all the characters in the tale into its murky depths, all seeking ‘Happy Ever After’ and release from the difficulties that beset them. But like all things in life, you have to be very careful what you wish for as the wishes spectacularly unravel. Jack’s mother has a dead giant in her backyard, Cinderella isn’t sure she actually wants to be married to a Prince and the Giant’s wife arrives seeking revenge. Woods, and particularly the vast Germanic forests of Grimm folklore, have long been a metaphor for the unconscious. The dark, unacknowledged places where we all have to face uncomfortable truths, travel to seek the wisdom we need to live good lives, face up to our Giants and return, if we are lucky, with the prize of a better understanding of ourselves. At some point in our lives we all ‘have to take the journey’ into the woods and come back with a little bit of magic to transform ourselves. 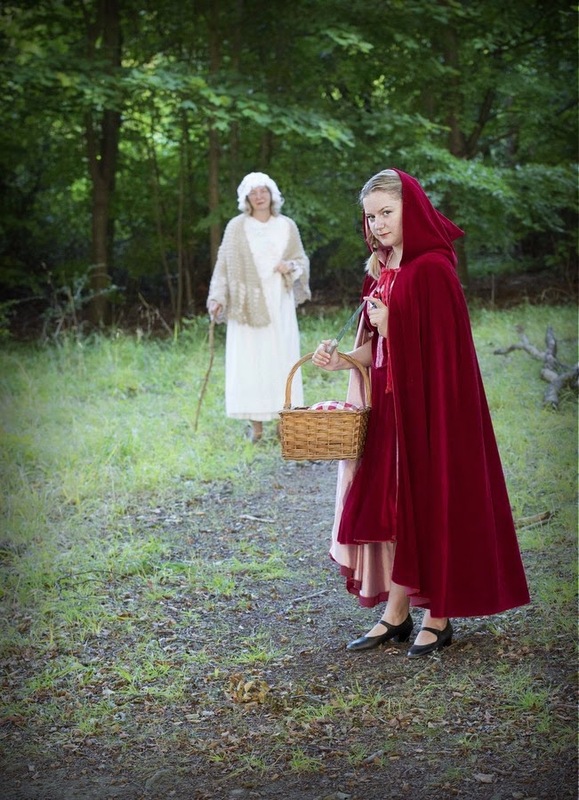 And we have a lot of theatrical magic to offer – book now and travel Into the Woods with us at the Queen Mother Theatre from 8th – 11th October, and share the journey!